Here’s to our largest assortment of scrumptious gourmet treats. Imagine their delight when they find this oversized Mishloach Manos at their door. What a fun and exciting way to say Happy Purim. 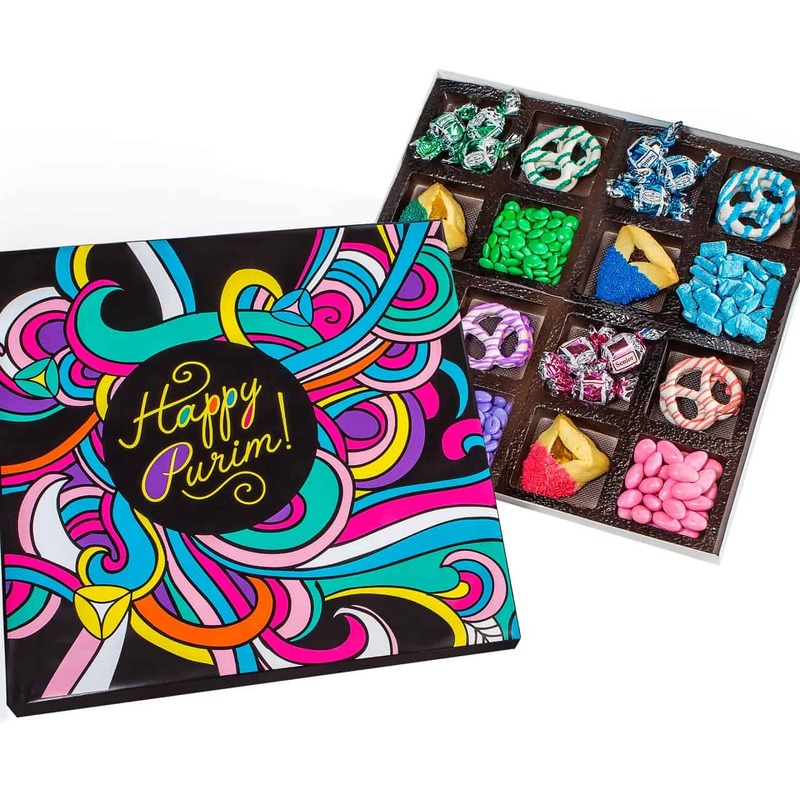 Includes: Belgian dark and milk chocolate truffles, an array of chocolate dipped hamentaschen, colorful hard candy and assorted chocolate pretzels.